Sometimes, we are so unwell that we have no choice but to head to the hospital. 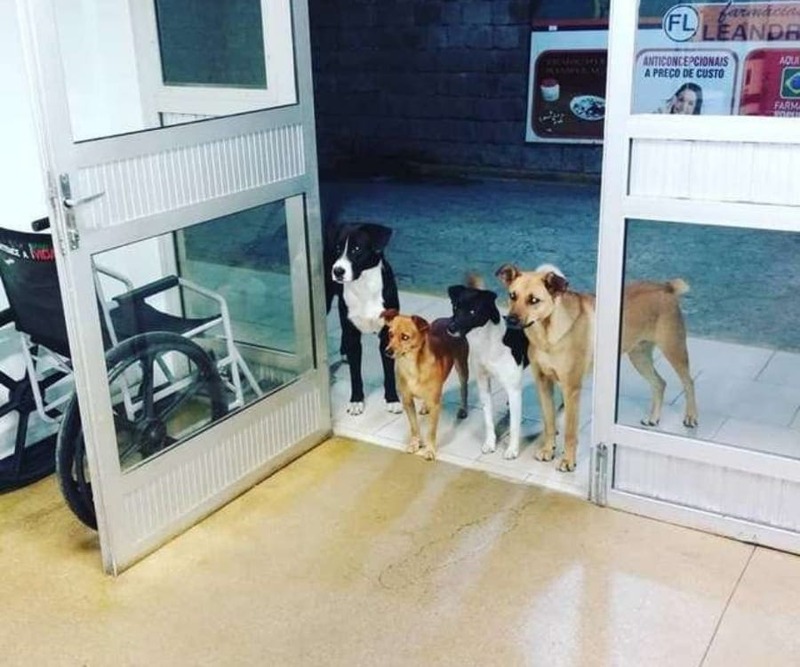 Although these hospital staff thought this homeless man was alone, it turned out that he had brought some company after all. It was about 3 am when César, a homeless man in Brazil, walked into the hospital for some emergency treatment. The man was often seen at another clinic so needed to explain his story and the complications with his health problem. However, it wasn’t long before the staff noticed that César hasn’t come to the hospital alone. In fact, there was someone already waiting at the door. 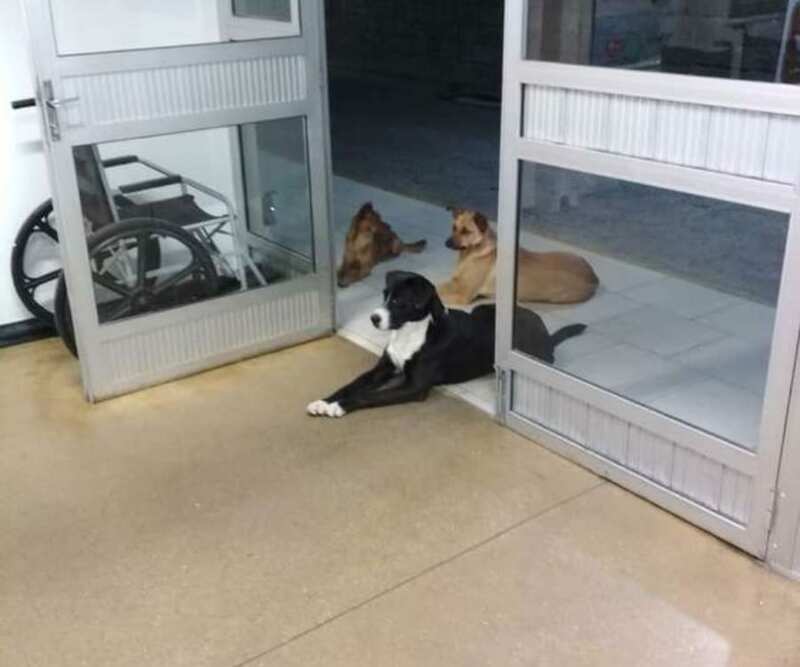 The nurses all looked over to see not one, not two, but four dogs all waiting at the door to the hospital. César might not have had many possessions, but it turned out that this homeless man’s entire life were all waiting to see their friend made it safely back out in one piece. The staff soon learned that César had taken it upon himself to feed his canine friends so that he wasn’t so alone out on the streets. The nurses could all see the dogs were a healthy weight and must have been given plenty of food from their adopted owner. Thankfully, they soon decided to let the dogs in to see César and welcomed them all with plenty of food. 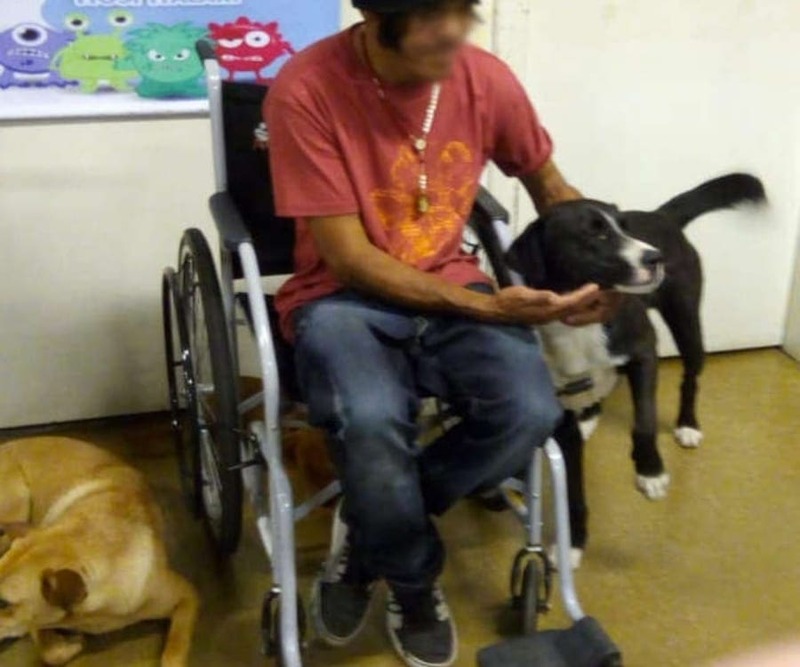 Although the staff offered both César and the dogs their own meals, they confess the homeless man kept some of his own to feed to his animals once they had left. It wasn’t long before César was allowed on his way. The homeless man packed up his medicine and headed out the door with all four dogs in tow. Amazingly, the nurses state that the canines were all wagging their tails with happiness that their friend was going to be okay. They might not have known his life, but everyone was touched by César’s love for his friends. It seems as though not all of us have friends on two legs, and sometimes these four-legged friends can show us more compassion that we ever believed. Thankfully, everyone is now reunited as a pack once again.